I constantly get new legal job openings. These are just samples. I have placed several partners recently and obtained incredible deals for them! Senior Associates ready to be Partners. Exclusive to me, this firm is seeking senior associates who have $250,000 in portables who feel that they can do better at a 150 attorney platform with lower billing rates and an immediate promotion to partnership. I made a placement like this last year, and the attorney went from $0 as an associate to $500,000 in business as a partner in one year. Exclusive Recruiter for Katten in Dallas. 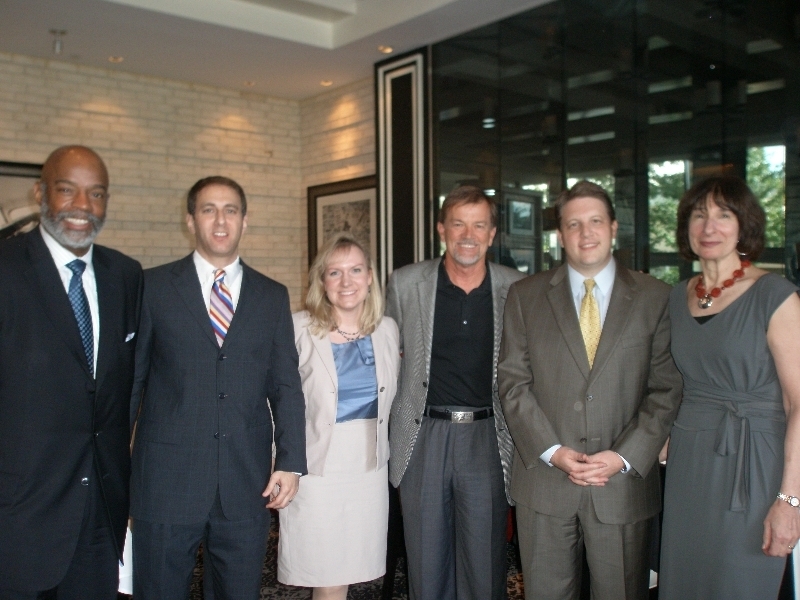 I have helped grow Katten Dallas into 26 attorneys in just 6 months here. We are targeting partners in their 40s who have solid books of business and dynamic personalities but not overbearing egos. The goal is to find people who want to practice together for the next 15 years and make this the final move of their career. Unlike other firms that are buying books of business, Katten is building a team that is together for a generation. Compensation is fantastic as are the collegial people. If you want cross-selling that benefits you, let’s speak about Katten. 1. Your Personality is highly valued. I am seeking two junior litigation associates: 1-2 year as well as a 2-3 year. This partner has worked with me for years and is a family friend. His group is highly collegial, and we want a great fit more than a perfect resume. That being said, if you have construction (law or real world) experience – that is a plus. Good comp with very good ability to make partner. 2. Commercial Litigation meets White Collar Crime: Ripped-from-the-Headlines work. I have previously placed in this litigation section and I have direct contact with the section head. This is highly interesting, complex commercial litigation work in Federal Court with matters ranging into $100 million+ in dispute, often involving “ripped-from-the headlines” white collar crime matters. 2015-2017 grads needed. Associates are counted on to take a major role. Plus, significant client contact is routine. Excellent writing skills are essential. Law review experience and strong academics are a major plus. Large firms rarely hire litigation associates in Dallas – and I seem to be the one who usually makes the placements. We need a 2013-2015 grad, so this is double rare that the hire is for a more senior associate with business litigation experience. We need a great resume with strong academics and excellent law firm experience. It is preferable that you have experience with depos and hearings. And, of course, a killer writing sample. Absolute top of the market comp! 4. RARE Large Law Firm Litigation. BIG MONEY and make partner quickly. We are seeking litigation associates from top law firms who graduated from top law schools in 2015 – 2017. They love hiring from me. A great signing bonus too! 5. Mid-Sized Firm. I just placed an associate at this firm. Now they need a 2-4 year litigation associate from me. Strong comp but very fair hours. One of my placements came over as a second year and then made partner in his 7th year after graduation. This large firm hires from me so much and the results have been fantastic. One associate that I placed loves this platform and now has a multi-million dollar book of business. Another associate just made partner. We need a 4th or 5th year associate with experience handling acquisitions/dispositions, loans for lenders and borrowers, workouts, and portfolios of defaulted loans. Absolute top of the market comp with reasonable hours and real partnership track. Also, a signing bonus! Top comp! We seek a senior associate or junior partner with experience representing financial institutions and funds with transactional financing issues, such as asset-based lending, cash flow lending, mezzanine financings, subordinated debt, and other debt and equity financing. Top pay as well as the potential for immediate promotion to partner for the senior associate with the right experience! 2. Absolute Top Base Salary. 3. Partnership is a fact. 5. You will take the lead on deals. UNIQUE: You will get to “Take Ownership” of clients. You can repeatedly work for the same clients, get embedded with them and take over the relationship. I deal directly with the section head and so I can tell you that the partnership potential and client ownership are legit. 3-5 years of experience needed. 1. Senior Associates needed at several firms! #1 Comp in the Country! Lots of needs…top work at top firms. We need 4-8 years of large law firm experience. Great signing bonuses. 2. 3-5 years of experience needed in M&A, especially Private Equity. #1 Comp in the Country. I have many happy placements at this firm. 3. 3-5 years years of experience needed with Capital Markets. Absolute top NYC comp scale. 4. 5-6 years of experience needed with Investment Funds formation, regulation, and structuring. Break the bank! 5. 4-8 years of experience needed with Capital Markets. Employment Law – Large Firm I just placed an associate at this firm that pays top dollar and is known for fair hours and a great partnership track. We are seeking a 2012-2015 grad with Employment law experience. Top grades please for this one. CORPORATE FINANCE. EXCLUSIVE TO ME. The premiere Commercial Finance group. Top of the Market comp. This national firm is seeking to hire two associates with 2-5 years of experience with senior / first lien / second lien / mezzanine financings and structures. These are not replacement hires; the firm is turning away work and needs to hire more stellar associates. You will represent lenders, issuers and investors in asset-based and cash flow transactions, LBOs, restructurings and workouts. You will handle intercreditor and subordination-related issues, equity co-investments and health care finance transactions. The firm closed over 400 debt financing deals last year. The salary matches the new NYC scale and the bonuses are even higher if you decide to bill 2,200 hours. We seek associates with 2-8 years of large firm Finance experience. Top of the market comp! I have several firms with many needs. Let the bidding war begin for your services…maximum comp and maximum signing bonuses. 2-5 years of experience needed with syndicated finance. Top comp in town! 3-4 years of experience needed with syndicated finance and private placements of debt securities. Top comp in town! 3-5 years of experience needed working with equity firms and financial institutions on structured finance, leveraged buyouts, refinancings, subordinated debt investments, asset-based lending and more. Big signing bonus! 3-4 years of experience needed in structured finance and securitization transactions. 3-5 years of experience needed representing lenders and borrowers in complex leveraged finance and asset-based lending transactions. Top comp! 5+ years of experience needed with debt finance. 2-6 years of experience needed. You will work with the best, representing some of the largest and most well-known brands. We need experience with all phases of trademark protection including counseling, clearance, prosecution and enforcement. Top of the market NYC comp but in Dallas! We are seeking 3-6 years (classes 2011-2014) of transactional federal income tax experience at a major law firm. Corporate tax and partnership tax experience are greatly preferred. We just added another attorney from an AmLaw 100 firm! We need more people who want to make CRAZY MONEY Wining & Dining for a living! This company just hired two more entrepreneurial attorneys from me (along with the previous successful candidates from me) and is eager to hire for a couple more positions. The owner of the company did this same job in his 20s and made millions each year. He is worth far, far more than that now. Exclusive to me. I am seeking attorneys who are interested in using your law degree / legal experience in the business world – primarily in a sales position involving Energy, Construction and Insurance. You’ll have a big expense account for entertaining clients. This is a FUN job. Rarely will you sit at a desk. Never a boring moment, and plenty of money to be made. No billing hours. I need Personable, Intelligent, Hard-Working people. Grades are not important. You can be a new grad; years of legal experience is not important. This is all about the ability to engage people and maintain relationships. You will be very well-trained, and paid during the training period. This is legit. If I have piqued your interest, let’s talk! Interested? Contact Randy Block at randyblock@performancelp.com and 214-497-5004 (24/7). Performance has placed attorneys at most large law firms in Texas and many boutiques. More than 90% of our candidates get the offer when they interview for a job because we work with candidates to ensure that their resumes and interview skills are perfectly tailored for the position. We generally work directly with partners in addition to recruiting coordinators. If you are looking for quality legal job openings or want to explore the current market, please give me a call at (214) 497-5004 any time, day or night. Randy helped me meet with firms that I otherwise would never have had the chance to interview. In the end, I had several offers from prestigious firms in the Dallas area. Moreover, he was able to place me with a firm that I had previously applied to on my own, to no avail. I am still with this firm and very happy. I doubt anyone is as well connected as Randy is in the Dallas legal market. Thank you for your marvelous work. Randy is the preeminent legal recruiter in the Dallas / Fort Worth legal market… He cares about his clients and the candidates he places, and he wants their success to foster a continued relationship with his clients and candidates. This business model and Randy’s experience as an attorney himself, make him the best legal recruiter in Dallas. Click here to see many more photo albums from Randy's events!